Being a nation that is a melting pot for a variety of cultures and ethnicities, Thailand boasts an amazing cuisine. Read on to know more about this country’s amazing food culture. Thailand is a nation where one could never go hungry. This is because there are footstalls and restaurants at almost all areas of popular cities. But if you are looking for a place to experience and enjoy authentic Thai food it could be a little difficult as more shops have altered their ingredients and preparation methods to delight the western taste buds. Bangkok is the culinary capital of Thailand. It is home to a variety of restaurants ranging from the highest end Bangkok resorts to affordable eateries. While you are in Bangkok you could also enjoy international cuisines such as Chinese, Korean, Indian and even Italian. The Anantara Riverside Bangkok Resort is one of the many places where you can enjoy intercontinental food. If you wish to taste authentic Thai Cuisine in northern Thailand, Chiang Mai, in particular, is the place you might want to visit. 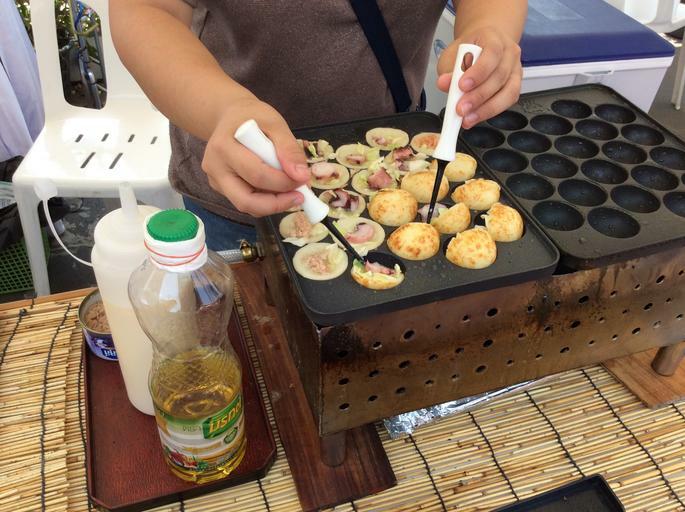 Here, one could taste a variety of food items that are exclusive to this region. There are also places which offer you cooking classes and this is certainly one of the regions that shouldn’t be missed for foodies. Popular coastal destinations such as Phuket, Pattaya, Chanthaburi along with many others all have one thing in common that is Seafood. One could taste the freshest catch directly from the sea upon visiting any of these cities. Thai crab curry, fried fishcakes, ginger steamed fish, Thai sushi are some of the food items you must try. The eye-catching street food scene is one of the joys of being in Bangkok. Also, there are restaurants of all levels serving delectable local and international delicacies. Do read on. Bangkok is popular for its flavoursome street food and you’ll not be disappointed with the unique taste and variety of the food. It will be a bit difficult task at the beginning to choose your favourite dish, but you’ll find a new dish to take back home! Thai rice noodles, grilled meat, and papaya salad are some of the popular street food dishes. Chinatown, Silom Soi 20 and Wang Lang Market are Bangkok’s popular street food areas. A dinner cruise along the Chao Phraya River is a good alternative to moving through the city. You’ll be confronted with a more laidback voyage to gather memories of this lively Asian city while savouring a scrumptious meal. It comprises 4 appealing sections that lead out to some of the most enjoyable street food outlets, beer gardens, and shopping precincts. Although it’s an interesting thing to dine on the streets of Bangkok, you should also consider savouring some of the Thai food served at a local or shophouse restaurant. If you’re keen on trying the very best of Thai food, consider checking into a Bangkok resort the likes of Anantara Riverside Bangkok Resort which has its own selection of restaurants offering both local and international flair. The Tom Yum Goong is a must-try dish since it is considered as one of the essential dishes in Thai cuisine. This hot and sour shrimp soup is one of the dishes that defines the true essence of Thai flavour. If you want a cuisine that goes a step further and combines spiciness, bold flavours and is easy on the wallet, try out Thai street food. Thailand is teeming with sobme of the best Bangkok restaurants, street food, so you’ll have plenty of options to choose from. The Victory Monument area is considered to be a great locality in which to enjoy outstanding street food in Bangkok. This is not surprising as the locality is one of the city’s primary transportation centres where countless commuters arrive and depart to various destinations in the city. Bangkok’s splendid Chinatown, called Yaowarat in the local language, without any doubt offers some of the finest street food in the entire city. Since only the best street food stalls can survive the competitive business environment in this part of the city, it is not surprising that only the finest remain. You will probably encounter Ratchawat first, where you will find a splendid array of street-side restaurants offering treats such as Kobe beef noodles, roast duck and many other flavourful dishes. Be sure to reserve your stay at a centrally located hotel such as AVANI Riverside Bangkok Hotel which offers close proximity to the best street food in town. This well-reputed street food district is renowned for featuring some of the finest street food in all of Bangkok. You will find some outstanding restaurants in this locality, serving up delicacies like pork leg over rice (khao ka moo), pink noodle soup (yen ta fo) and pbet yang (roast duck).